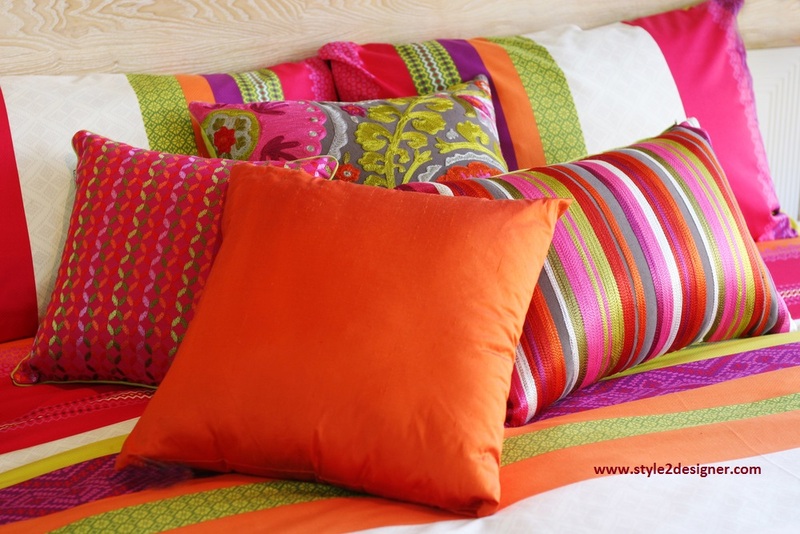 Home textiles are a stretchable material consisting of an arrangement of natural / synthetic or artificial fibers frequently referred to as thread or yarn. Spinning raw fibers such as wool, linen, cotton, silk, rayon or any other fiber materials on a spinning wheel to manufacture long strands produces yarn. Home textiles are formed by the process of weaving, knitting, knotting, crocheting the yarns or compressing the fibers simultaneously. There are several varieties of fabrics from two important sources such as Natural and Man-Made. Natural fabrics consist of fibers from plants and animals; some examples for plant textiles are cotton, jute and for animal textiles are silk from silkworm and wool from sheep. Both word fabric and cloth are used in textile trades such as dressmaking and tailoring which meant for Textiles. Though there are delicate differences in these terms in focused usages. Textiles referred to any materials made by interlacing of fibers which means woven fabrics. Nice write ups. Gained a lot.